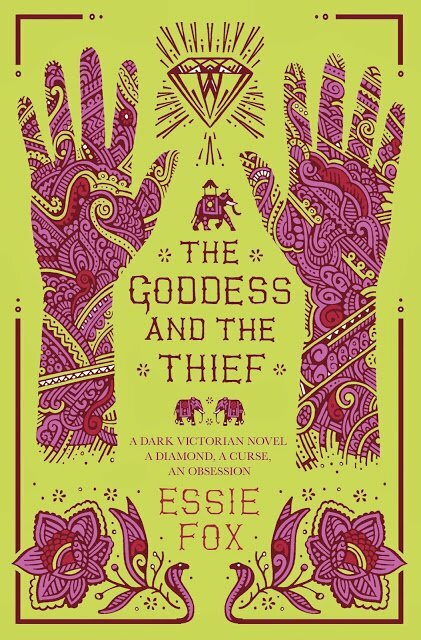 Taking cues from The Moonstone, Essie Fox’s newest book weaves colonialist India and Victorian spiritualism together into a riveting story. Our heroine, Alice Willoughby, has had the childhood that many British children must have in those days. She was born abroad in India, the daughter of an East India Company man and his English-born wife. Alice’s mother dies shortly after giving birth and she is raised by Mini, her ayah. When Alice is still a very young girl, she is sent back to England, to live with her Aunt Mercy and receive a proper British upbringing. Soon after, her father dies while still in India and she is left only to remain with this conniving relation. Her aunt has taken up as a spiritualist for hire. Clients come to the house and sit in a darkened parlour, calling to spirits in the beyond. As Alice gets older, she too in pressed into service as a charlatan, wearing veils and making noises and disembodied voices in order make their sessions seem more realistic. Their reputation grows to the point of being invited to read for Queen Victoria at Windsor Castle. The grieving widow is desperate to connect with her beloved Albert. What Alice doesn’t realize is that her aunt and her partner, Lucian Tilsbury, are actually there to steal a large, Indian diamond and return it to the sovereign of Lahore. Alice discovers to late that not only has she has been implicated in this ruse, but that Mercy and Lucian have far more dastardly plans for her. In an unwitting opium-induced stupor, Alice is assaulted by Lucian. The two adults then conspire to steal the illegitimate child and raise it as their own. A captive in her home, Alice must figure out a way to escape or try to survive in the bed of reptiles. I quite enjoyed the spiritualist angle, and the theft of the royal diamond (in a reversal of the battle of Seringapatam in The Moonstone). I was less intrigued by Alice’s tribulations and her ambivalence about her future. These thoughts are tied to Hindu mythology, of Shiva and reincarnation and have a much more intangible sense to them. Essie Fox has written another story that simmers with Victorian magnificence and is as ethereal as the London fog. Read via a file sent from the publisher, Orion Books. My most sincere thanks for their efforts.